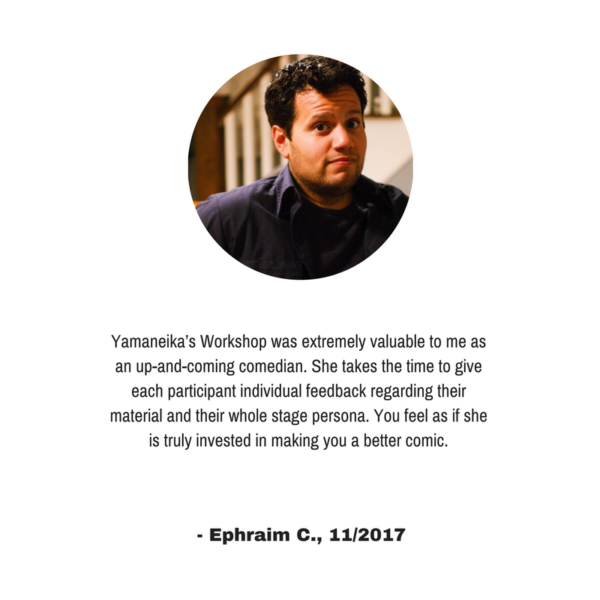 Whether you’ve been performing stand-up comedy for years or only just getting started, workshops are a great way to get a glimpse into the minds of a pro. 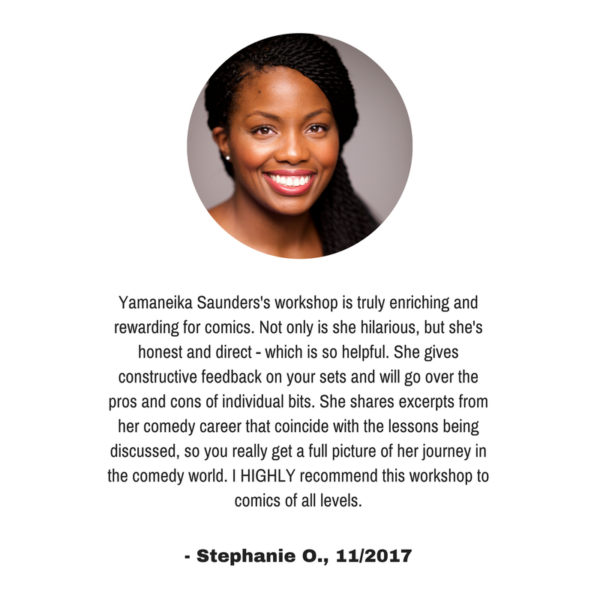 For a limited time only Yamaneika Saunders will be teaching 4 weekly workshops. 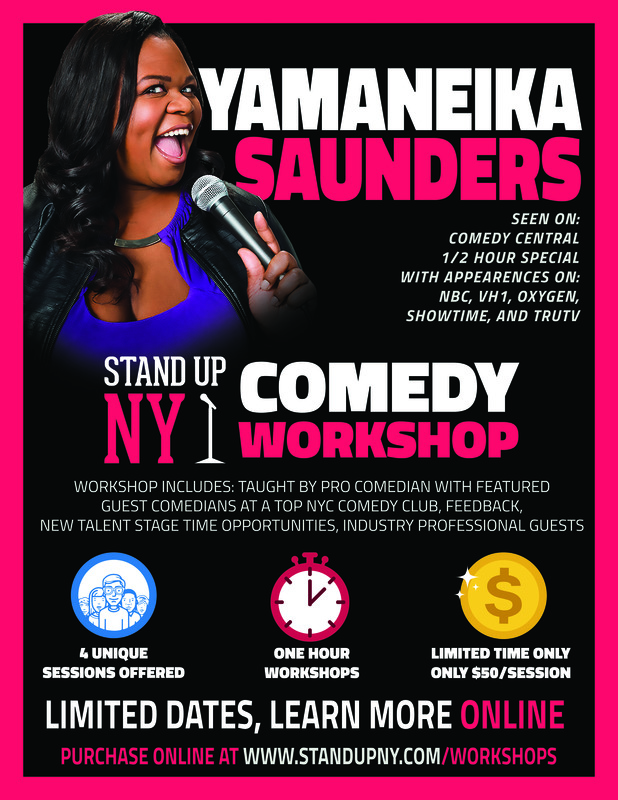 You’ll learn what skills pro comedians, like Yamaneika, continuously work on in their careers. 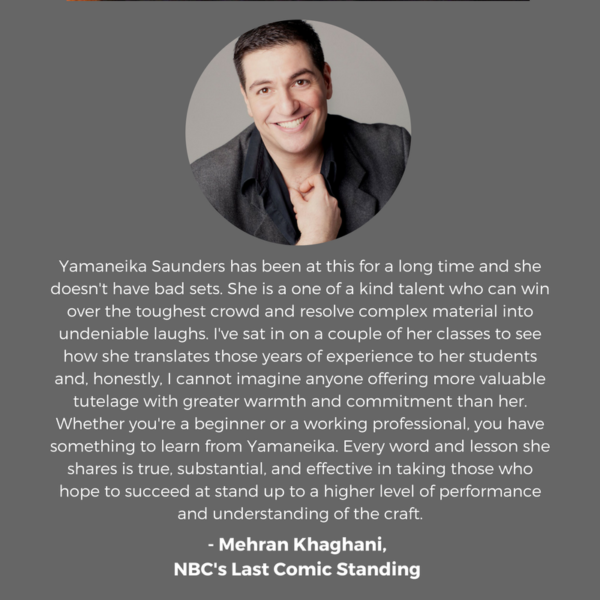 Unlike the comedy classes offered at Stand Up NY, students can choose to join 1 workshop or all 4 during each 4-week session*! Workshops are 1-hour long which leaves you time to take what you learned and use it during Open Mic, weekly from 5-7pm. Plus, attendees will have new talent opportunities to be seen by the booker or perform on one of the showcases. *Attendees who attend 3 consecutive classes will receive a discount on the 4th workshop (inquire within).